New Delhi, June 15: Progressing on the health sector, India has emerged on a commendable note with showing development in many terms. WHO hailed India on maintaining the ‘polio-free status’ ever since the last case of polio was found in India in 2011. The Polio Expert Advisory Group (IEAG) reviewed the country programme activities and make recommendations; the expert member group concluded that ‘the country is on the right track’. 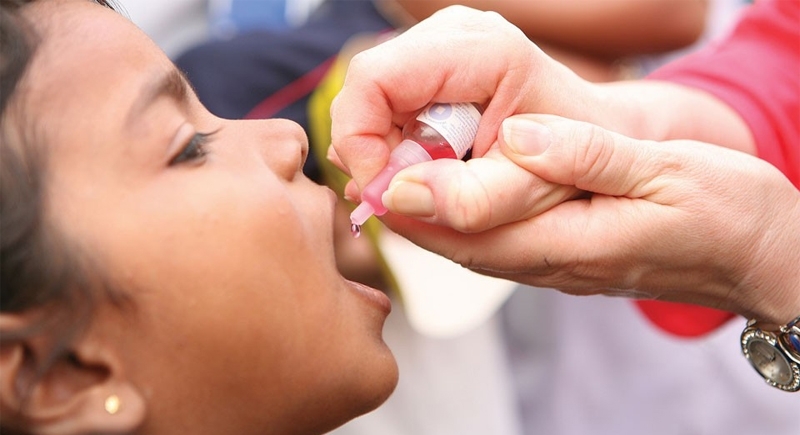 The experts commended the strong leadership of the Government of India, as well as the ownership of the state governments to for maintaining polio-free status for more than seven years and ensuring that every child is vaccinated against the disease. The last case of polio in India was reported in January 2011. The programme has ensured adequate protection of children through both mass polio vaccination campaigns and childhood immunization. Speaking at the meeting, Preeti Sudan said that there are two types of polio vaccine - oral polio vaccine and injectable polio vaccine, which are both used in India to provide enhanced protection. “We need to ensure that every child in India must receive at least three doses of OPV and two doses of IPV during infancy. This in an invaluable investment for child health in India” Preeti Sudan added. She further said that the nationwide polio campaigns should continue along with routine immunization strengthening initiatives such as Mission Indradhanush, Gram SwarajAbhiyan, and Extended-Gram SwarajAbhiyan. Dr. Michel Zaffran, WHO Head stated that globally the world is closer to polio eradication than ever before. Eleven cases have been registered in 2018 in only two countries, Afghanistan and Pakistan. “The experts appreciate the example that India sets for the rest of the world. By eliminating polio in India, the country has demonstrated that global polio eradication is feasible and within reach,” he added. The group of experts appreciated the efforts of India in using both oral and injectable polio vaccines and recommends that this be continued so that no child in India gets paralyzed ever again. Community participation remains an integral part of polio vaccination efforts in the country. The expert group noted that more than 23 lakh vaccinators are mobilized to support every polio mass campaign during which 17 crores children get the oral polio drops.